I hope you’re excited. I have a ridiculously easy, incredibly flavorful, and essentially foolproof soup recipe that is sure to knock your socks off. I speak with such confidence because the first time I tasted the soup, I lost my socks. Seriously. 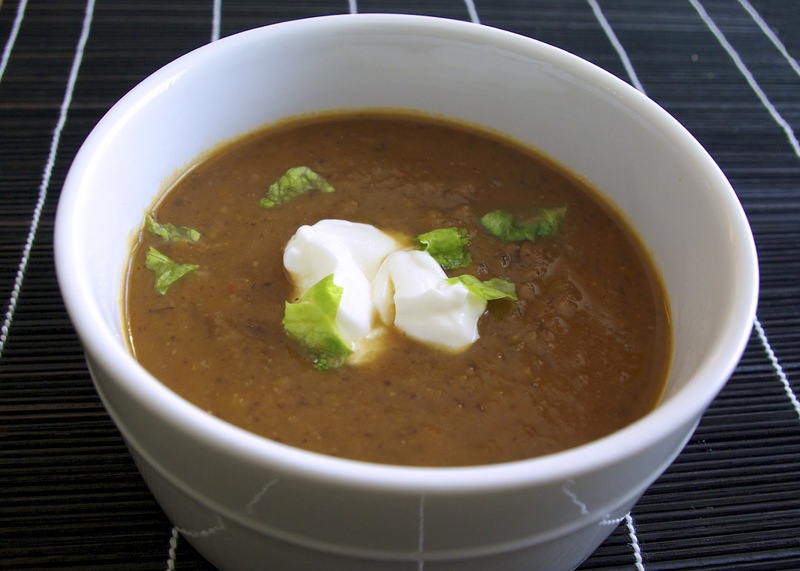 Plus, this pumpkin black bean soup is my mom’s recipe, and everything my mom makes is to. die. for. As if you needed more convincing, this soup is not only affordable, but it is hearty, filling, and easily adjustable for all of you vegetarians and vegans out there. The beans and the pumpkin create a rich, creamy base, and the warm blend of flavors from the cumin and brown sugar are absolutely perfect. Mom…well done! Two thumbs way, way up. I hope you all enjoy it as much as I do! What are some of your all time favorite soups? Let me know below! In a large saucepan, melt butter over medium high heat. Saute onions and garlic in the melted butter, season with salt and pepper. Stir in black bean puree, remaining can of beans, chicken/vegetable stock, seasonings and sugar. Mix well. Simmer for about 25 minutes. *This step can also be done with an immersion blender in the saucepan during step four. **Soup can easily be made ahead and reheated…the flavor only improves as it sits!